Torque News hasn’t written much about the Subaru BRZ GT300 race car because they haven’t done much until now. This year the car finished in 18th place, DNF, 3rd place, DNF, and DNF through the first five rounds of the 2018 season. It’s been disappointing for Subaru Motor Sports and Subaru Tecnica International (STI) until the sixth race of the season when they pulled off their first win of 2018 in the GT300 class. The team of R&D Sport directed by team manager Eiji Tatsumi started well as they qualified with the pole position at Fuji Speedway, the first pole position since 2014. 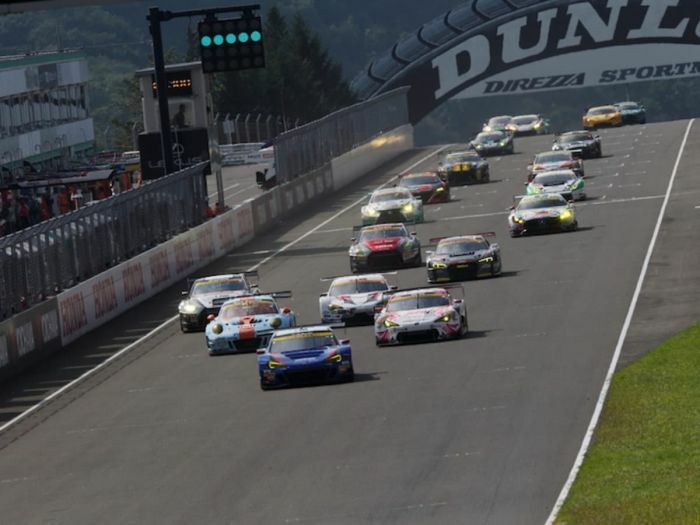 Last year, Subaru’s BRZ GT300 finished in 4th place at this same race track. This year, driver’s Takuto Iguchi and Hideki Yamauchi drove the BRZ to the finish line in first place. For those not familiar with the Super GT Series, it’s a series that took over the All Japan GT Championship and was established in 2005 and is one of the popular motorsports events in Japan. STI started participating with the Subaru Legacy B4 GT 300 from 2009 until 2012 when the BRZ sports coupe was developed. R&D Sport manages the team for STI and pits the #61 race car against other grand touring cars on Japanese, Malaysian, and South Korean road courses. The series is sanctioned by the Japan Automobile Federation Grand Prix. The BRZ GT300 engine is the Rally-proven Subaru Boxer EJ20, which has been tuned for road racing using technologies developed for the STI World Rally Championship (WRC) cars since the 1990s. The EJ20 has been modified to use a dry sump system, which has an external reservoir for oil. This allows the engine to have an even lower profile to lower vehicle height. The BRZ GT300 develops close to 300 hp and 330 lb-ft of torque. It gets 12-inch wide racing tires, a 6-speed sequential gearbox, six-piston brakes in the front and four pistons rear. STI designed an adjustable racing suspension. The next round for the 2018 Subaru BRZ GT300 will be held on October 20-21 at Autopolis, Hita, Oita Prefecture. Stay tuned.